The sport of golf is steeped in tradition. Collars are worn. Divots are replaced. Decorum is maintained. 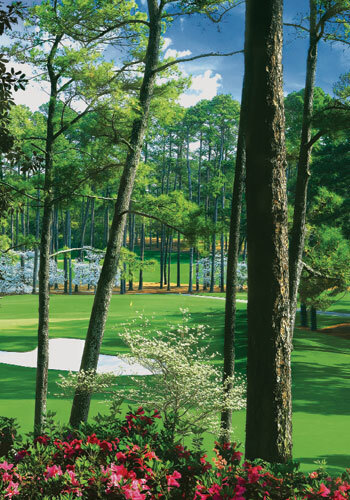 And every April, a select few travel to Augusta, Georgia, to witness golf’s most prized tradition: the Masters. Making the trek last year, I expected a cross between the Kentucky Derby and Gone with the Wind. So despite my husband’s pleas, I insisted on wearing high heels and a sundress to the tournament. After all, I was entering the storied Augusta National Golf Club, and I didn’t want to look like a girl who didn’t know what she was doing. Sadly, that’s exactly what I looked like to the Masters crowd, which consists of golf enthusiasts—not fashion snobs—who wear comfortable clothes and sensible shoes. It only took two hours for me to develop mean blisters on my feet as I hiked the vast and hilly course and another three before I finally swallowed my pride, took off my shoes, and walked barefoot. Attending the tournament was like traveling back in time: the caddies donned white jumpsuits, pimiento-cheese sandwiches cost two dollars, and a cup of beer rang up only $1.50. The entire place was awash in green, from the folding chairs to the sandwich wrappers to the Augusta National member jackets. It didn’t take a golf connoisseur to appreciate the magic that is the Masters; it engulfed us from the moment we crossed Augusta’s city lines and stayed with us until we pointed our car home. 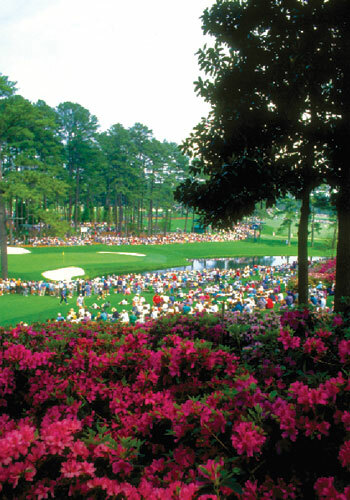 The Masters isn’t simply a tradition in golf; it’s a tradition in traditions. Getting tickets to such an event was no easy feat—applications for admission to this year’s practice rounds were submitted two years ago, and tournament tickets have been sold out for nearly a decade. But we managed to snag tickets to one day of the festivities, so we decided to make it a vacation. After all, nothing would have spoiled a great day at a legendary golf tournament more than sitting in bumper-to-bumper traffic on our return trip. Since hotels in Augusta can fill up a year in advance for Masters week and there aren’t nearly enough rooms to sleep all of the spectators who flood the city, we started our early planning with accommodations. In lieu of hotels, many attending the tournament with family or business associates rent a house or a room. Since all the local schools and universities schedule their spring breaks during tournament week, many residents leave town and rent to visitors (bear in mind that home rentals often require a four-night minimum stay). We chose to stay in a beautiful house just around the corner from the golf course, and though we felt a little like teenagers sleeping in a guest room with two twin beds, the convenience of a full kitchen, washer and dryer, and cozy den made the choice an optimal one. 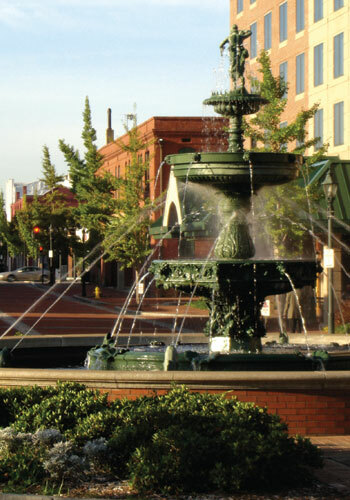 Masters week in Augusta is truly a spectacular time, and we discovered the historic neighborhoods hugging the golf course offered only a glimpse of the distinct Southern charm this city has to offer. Aside from sleeping, watching a little white ball make its journey to a 4.25-inch hole, and futilely scouring the grass to spot a single weed on a $100 bet my husband and I had made, we enjoyed a Petersburg boat tour of the Augusta Canal, the only industrial canal in the country that’s been in continual use since before the Civil War. 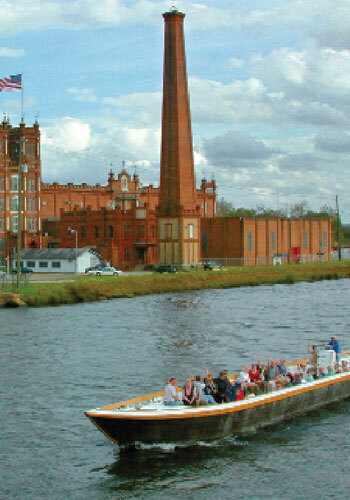 The tour offered a fascinating overview of Augusta’s history (it was once one of the South’s most cosmopolitan cities, thanks to its booming textile-manufacturing industry) and travelled beneath romantic bridges, past elegant herons, and above lazy alligators. Another excursion took us to the Augusta Museum of History, which has an extensive Masters exhibit with profiles of tournament winners, samples of historic buttons and badges, and priceless letters, such as one from Arnold Palmer to then-Augusta National manager Phil Wahl thanking him for his hospitality. 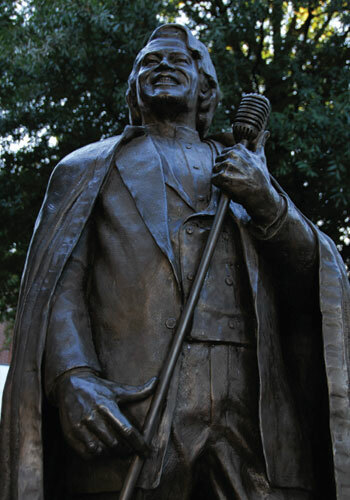 The James Brown exhibit also proved worthy—the Godfather of Soul’s hometown pays homage to his life and musical legacy with interactive kiosks and rare memorabilia. 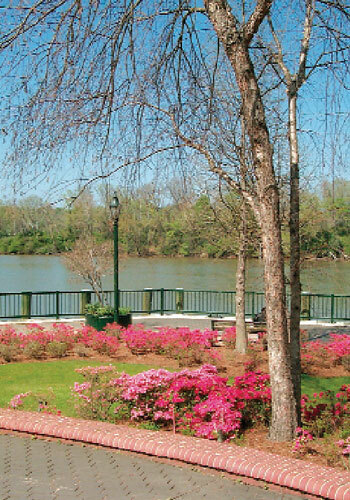 Next, we hit the Riverwalk, a two-tiered esplanade lining the Savannah River and teeming with attractions. Without a doubt, the most compelling was the Morris Museum of Art, the first museum in the country devoted entirely to the art and artists of the South. From its collection of Civil War paintings to its works by Southern impressionists, this gem of a museum didn’t fail to impress. And our trip to Augusta wouldn’t have been complete without a stroll down Broad Street. 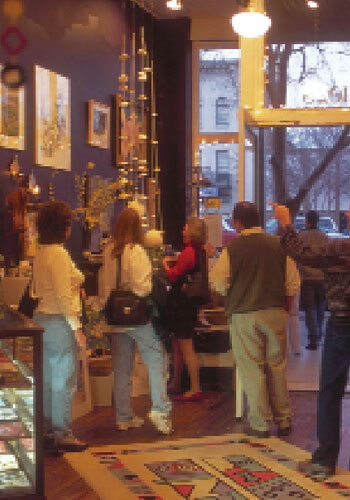 The second-widest road in the country (topped only by New Orleans’ Canal Street), Broad stretches through downtown and is flanked by restaurants, shops, and galleries. An historic Vaudeville theater with a neon marquis gives the street an old-timey feel, as do the hat shops and old-fashioned beauty parlors. Still, the modern world hasn’t passed Broad Street by—a two-block park boasts free WiFi and serves as a common area for businessmen, artists, and tourists alike. Behind sunglasses and under the guise of working while sitting on a park bench, my husband and I discovered excellent people-watching; from James Brown impersonators to elderly ladies wearing wide purple hats, we spied plenty of personalities. I also discovered that a trip to the Masters isn’t simply a trek to another golf tournament, nor is it just a vacation to an historic Southern city. Augusta and the Masters carried us out of town and into the magical realm of golf’s greatest tradition. And next time, I’ll be sure to wear comfortable shoes.